Users can specify the LMLS-400 and LMLS-500 for switching or dimming applications, and they are designed for easier integration with occupancy sensors and other lighting controls. Both digital photosensors include a two-way infrared transceiver for communication with a wireless configuration tool, and the LMLS-400 features automatic commissioning for either switching or dimming. The LMLS-400 is a single-zone, closed-loop photosensor workers can install on a ceiling or in a lighting fixture. 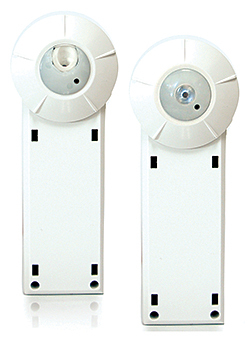 The LMLS-500 is a multi-zone, open-loop photosensor designed to mount on a ceiling or in the light well of a skylight.